Southwest Plastic Surgery is committed to providing you with as many ways to retain your youthful appearance as possible. As people age, one of the undesirable outcomes is a diminishing of collagen in the skin. Your skin elasticity starts drooping or sagging as the skin thins, and that is one of the reasons for wrinkles, fine lines and creases exists. That is also why we are here, to help many of our patients who wish to restore their face to that younger looking version of themselves. SkinMedica is a natural way to return skin to its healthy look. For patients who only need minimal corrections and do not have the time or cost to get a facelift, we want to encourage you to give SkinMedica a try. Or, you can use it to supplement and keep your skin looking young and healthy after receiving one of our rejuvenation procedures! This professional skin care collection is backed by decades of breakthroughs in skincare. 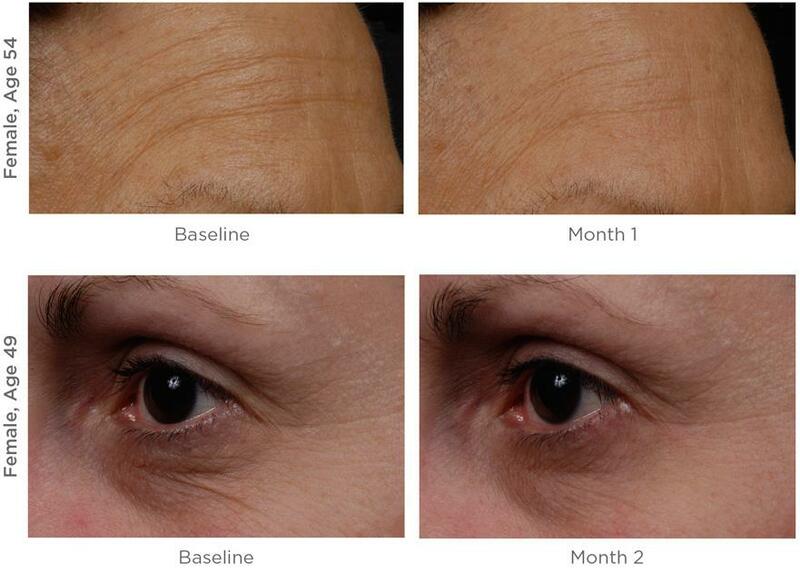 Scientist-developed and clinical trials have continued to improve the SkinMedica formula. Our physicians recommend this as part of a medically-appointed skin care routine. 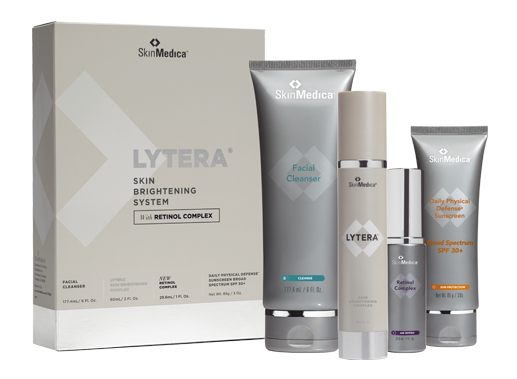 Depending on your skin type, our specialists can point you to the right combination of SkinMedica products to treat oily, dry, or combination skin. Moisturizers, Peels, Cleansers & Toners, and more! You will find SkinMedica to be convenient and easy to use. Bring it with you or keep it in your purse, makeup bag or wherever you can easily reach for it whenever you need a touch up. It only takes a few seconds to make your skin look magnificent with SkinMedica. Designed for normal to dry skin, the Dermal Repair Cream offers intense replenishment moisturizing with skin hydration. Recommended use once in the morning and once before bed after cleansing, toning and application of any other treatment products. Just put a small dollop in your hand and gently work it into your skin, until it completely absorbs. Sold in a 1.7 oz. silver container. As people age, the eyes can be affected with tiny fine lines, wrinkles or sagging skin around the lids. Improve the skin elasticity and hydration with TNS Eye Repair. Makes your eyes look smoother, brighter and younger, while restoring that “tired” look or bags underneath the eyes. Apply twice daily after the other SkinMedica products, or before applying moisturizer. This is not meant to be used on the upper eyelid, rather around the outside corners of your eye. Sold in a tiny, .5 oz. jar. Use just a smidge and notice a tremendous difference within a month! Clients love TNS Serum, no matter what type of skin! From dry, oily and combination to normal skin types, this all inclusive serum will dramatically reduce the appearance of fine lines and wrinkles, while enhancing skin texture, tone and smoothness. You may notice a stunning difference after only 30 days of use, but the best results occur in users after 90 days of recommended morning and evening application. TNS Essential Serum can be applied on your entire face, and the neck and chest if you wish to do so. It is available in a 1 oz. jar. Of all people who use the TNS Essential Serum, over 92% stated that their skin looked noticeably younger and healthier. Whether your skin is oily, dry, normal or combination, all skin types can benefit with this skin brightening and rejuvenating cream. It is designed to improve the skin’s tone, condition and to reduce the appearance of minor skin discolorations that may be caused by the sun UV rays or natural aging process. Many of our patients are seeing dramatic improvements within four weeks of use. 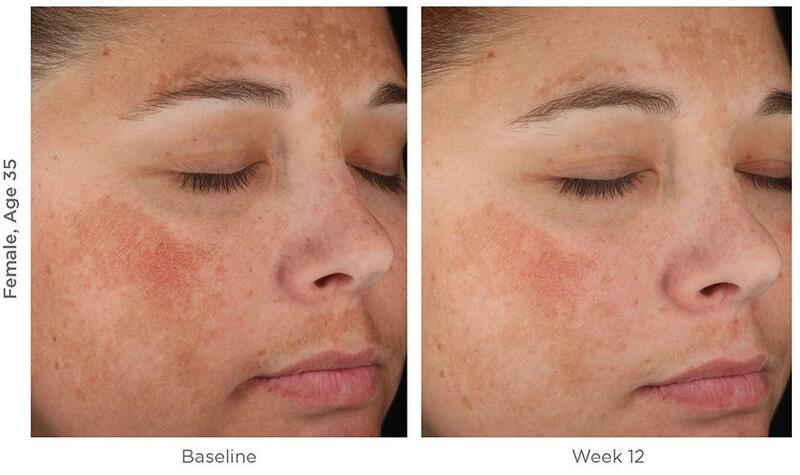 After twelve weeks, nearly 80% of all Lytera users report noticeable increases in the skin tone and evenness of skin tones. And as many as 95% report tremendous skin improvements in an equal amount of time. Make the Lytera part of your morning and night rituals for the best effect. First, do the cleansing and toning on your face and neck, or any other areas you wish to treat. The Lytera comes in a 2 oz. bottle. Better yet, take some “before” and “after” photos to see the results for yourself! Other SkinMedica Products can make a nice compliment to your beauty routine. Southwest Plastic Surgery is also offering the Ultrasheer Moisturizer, Foaming Cleanser, Purifying Toner, Retinol and more to compliment your entire skin care repertoire! 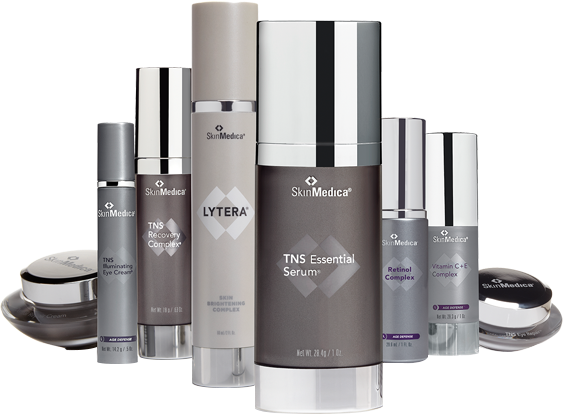 Visit Southwest Plastic Surgery Today to Sample the Premium Quality SkinMedica Collection!